Whether you grill for two, take your grilling on the road, or just lack the space for a full-size grill, a Portable Charcoal Grill offers the smoky flavors of charcoal grilling in a convenient size. Portable grills come in two styles: Some look like smaller versions of full-size Kettle Charcoal Grill; others collapse flat for easy storage. We also offer some other Outdoor Charcoal BBQ Grills, such as Smoker Grill, Ceramic Kamado Grill, Spit Roaster etc. Container Quantity : 1077PCS/20" , 2501PCS/40`HQ. Looking for ideal 14-Inch Portable Charcoal Grill Manufacturer & supplier ? We have a wide selection at great prices to help you get creative. All the Premium Charcoal 37cm are quality guaranteed. 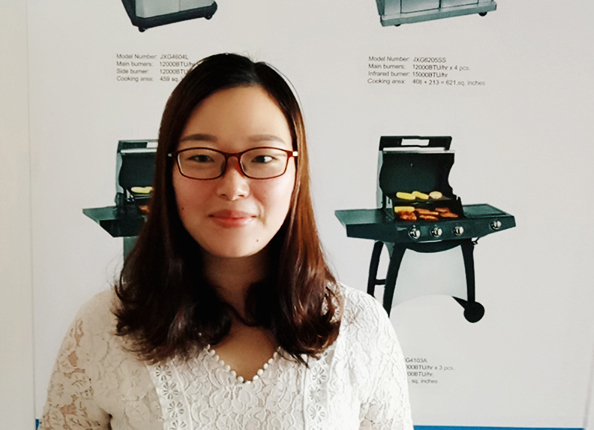 We are China Origin Factory of Porcelain Enamel Charcoal BBQ. If you have any question, please feel free to contact us.